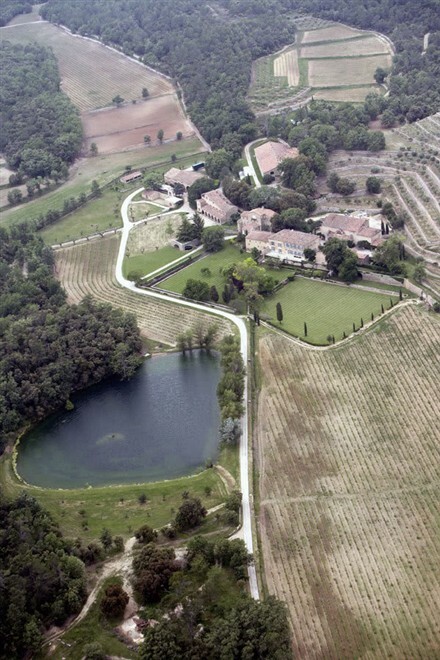 Fresh from his Inglorious Basterds premiere in Berlin, Brad Pitt made a stop at Chateau Miraval, the estate he and Angelina Jolie are leasing in the south of France. 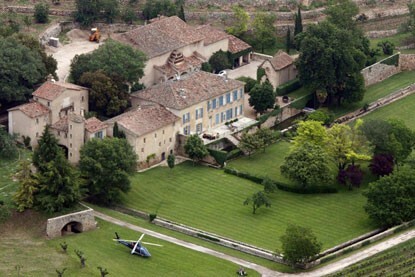 Brad flew into Marseille, France July 29 for a one-day stop over at the Chateau to inspect the nearly $5 million in renovation work he has underway. The $60 million chateau in the French Riviera features 35-bedrooms and is set to be the new home of the Pitts to raise their plethora of children. 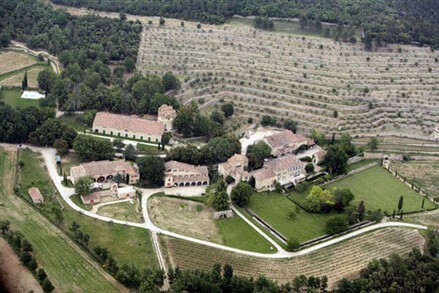 The Jolie-Pitts are almost halfway through their three year lease-to-own deal with the Chateau owners - a transaction that was necessitated by complicated French tax laws - and Brad is busy overseeing dozens of contractors who are bringing the estate up to his standards. Brad personally designed the furniture, and it will come with a final price tag of nearly $500,000. Brad and Angelina are hoping all the work is done by the end of the year. They'll eventually make the Chateau their primary home. 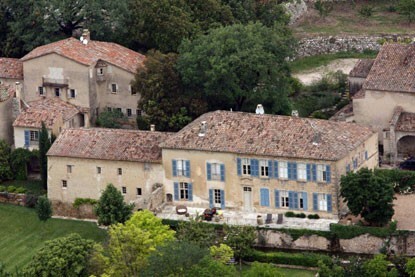 Chateau Miraval is dating from pre-Roman times (720-121 BC.) and is located in a village called Brignol, which is near from Aix-en-Provence in France. This beautuful little paradise castle from South of France is approached down a long winding lane through forest and vineries. Chateau Miraval is well known for its wines, woods and vineyards, it's been quoted several times in the french Hachette guide. 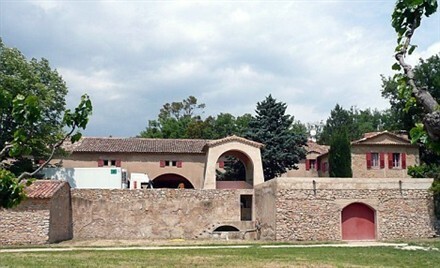 The last owner undertook great work of handing-over back to a vineyard and all the surrounding area, which makes this property a small jewels of south of France, region de Provence. The pre-Roman estate also boasts a swimming pool, billiards room, indoor pool, his-and-hers gyms, sauna and jacuzzi and a huge banquet hall. Magnificent cascading stone-walled terraces have been replanted with 13 different varieties of olives, and water is everywhere on the sprawling estate-20 fountains, aqueducts and a stream that runs through hidden tunnels, passes through the moat and fills the lake.